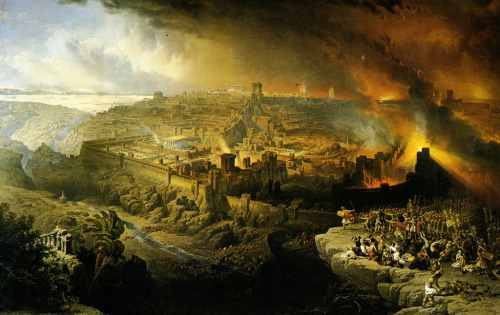 Tisha b'Av is a crucial aspect of the spiritual/historical cycle of the Jewish year. Tisha b'Av is a time of grief, yet our Tisha b'Av gathering also reminds us that hope can spring from destruction in surprising ways. Many people do not understand why we should mourn the destruction of the Temple, because they do not particularly want to see the physical Temple rebuilt or (G-d forbid) sacrifices resume, and life has gone on in a way that makes that past seem irrelevant. However is important to understand the psycho-spiritual function of the Temple,for when the Beis HaMikdash (Sacred House/Temple) still stood, this was the central "resident address" of Shekhinah, the Indwelling (feminine) Divine Presence. We used the innermost sacred fulcrum of the Temple, which we called the Holy of Holies, as that place where the Cohanim could hold open the portal between the material world and the Divine realms beyond time and space. This holy work enabled the shefa, the divine flow of abundance and blessing, to flow into and vivify the world. In the Temple we could touch the Divine realm and influence the flow to be strong, loving and compassionate. Being able to channel Shekhinah energy into ourselves and the world in this way was no small thing. When the Beis HaMikdash was destroyed, and the sacred service of the Cohanim and Levi'im was ended, we were utterly devastated as a people. Those who remained alive began the practice of rising at midnight to sit by the ruins. We rubbed our foreheads with ashes, and gathered to mourn the destruction and exile of our people, and to pray for restoration. With the revolutionary rabbis as guides, we also began to learn how to use Torah and mitzvot, and both personal and communal t'flilah (prayer) to hold open a channel for the Divine within our hearts. We began to teach that the human heart could be the new Temple. The story continues: Centuries later we embraced a fresh grief: The murder of Jewish men, women and children by the Catholic Inquisition, and the exile of the Jewish communities of Spain. Exiles from Spain grappled with the confusion and pain of this new exile. Some regrouped in Sfat, in northern Israel, to heal and question. The focus turned inward. We wanted to know why we kept experiencing destruction and exile, and if there was a lesson we were supposed to learn. We came to understand that exile is not only a political condition but also is a spiritual condition. Understanding that the human being is the 'temple' in need of restoration and repair, we began to teach that the Tikkun Olam (Cosmic Repair) that we sought in the world would only come as a result of each of us mending our own internal exile. We realized that we had to melt the iron wall of hurt and sorrow that we have each built to shield us from our pain and loss, because this wall separates us from the holy spark that is alive in our hearts. This is what we mean when we say that "Shekhinah is in Exile" - that the inner spark is hidden and blocked. There is Exile of the Shekhinah happening for each of us, for our people as a whole, and for the entire world. When we are in pain, and we push aside the holy spark, this is the condition that we call Churban - Destruction of the Temple. If we can't feel that this is happening, if we don't even notice and have numbed the pain or replaced it with rage, this is a sign that the Churban - the destruction and exile - has overtaken. But when we do begin to reconnect and to feel the pain in a safe way, this brings the possibility of healing and the beginning of redemption. Rumi, the great Sufi poet, lived in a land filled with the ruins of past empires. Often treasures were buried beneath the rubble of palaces and tombs. He wrote: "Under every ruin lies hope for a treasure. Why not seek the treasure of God in the ruin of the devastated heart." You may wish to reflect on ways in which tragedy, genuinely grieved and mourned, can unfold blessing or a positive outcome over time, and how the process of grief and healing works. There can be a healing of the past hurt and a renewal of hope. This is an aspect of the experience of redemption. This to me is the essential message ot Tisha B'Av. On this evening we enter deep grief, and reflect on the redemptive possibilities of the healing that can come from re-discovering God inside us and among us. Now too, we deeply feel our shock over the nuclear reactor tragedy in Japan, even as we still mourn the ruin of the Gulf of Mexico. May our grief over these, and the all too many other environmental tragedies, spur us to action in behalf of humanity and the earth.